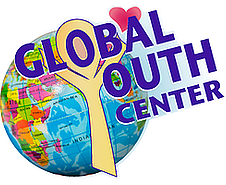 GTC LA's Youth Ministry incorporates the principles of Science of Mind with play and creativity. Our "GloYos" range from 18 months to 12 years old. Our GloYos play games that teach them about "The Thing Itself," "How It Works," and "How to use It." All of this happens in a safe, dynamic and nurturing environment of teens, and adult mentors who have themselves studied and are living the Science of Mind. Families are invited to join us each Sunday at 9:20am and celebrate how fantastic each of us is!